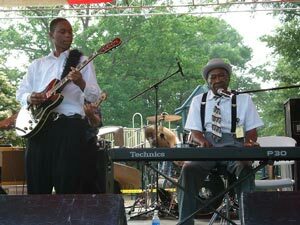 The winner will recieve a Robert Johnson Signature Series guitar from Gibson Guitar values at about $4500.00 plus a spot to perform at the annual RJ Birthday Celebration(this year on his birthday, May 8, 2010). Thanks in advance for your support. Please contact me at (601) 672-3243 should there be any questions. Also check out www.robertjohnsonbluesfoundation.org for more details. Deadline for the contest has be extended to April 9, 2010.